When you click on the notifications bell, you will view your latest notifications. Clicking on any notification will take you directly to the record details page. Meanwhile, the notification will be marked as 'read'. Note: You can mark a notification as read or unread by clicking on the 'envelope' icon. 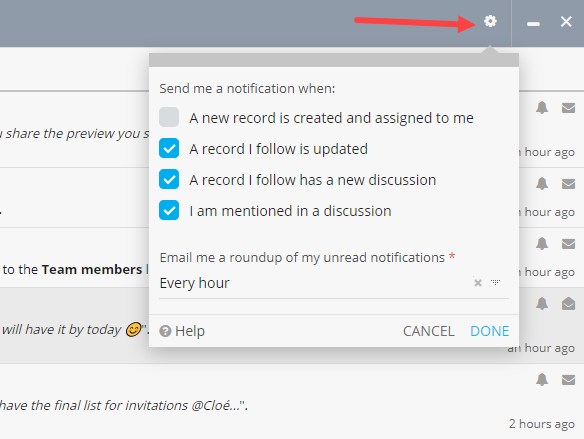 Click on the icon to change the notification settings from the Latest Notifications dropdown. You can also change the notification settings from the Notifications page. Note: If you turn off all notifications, updates will still be stored in Fusioo but you won't be receiving any notifications. You can then access them from the Notifications page. 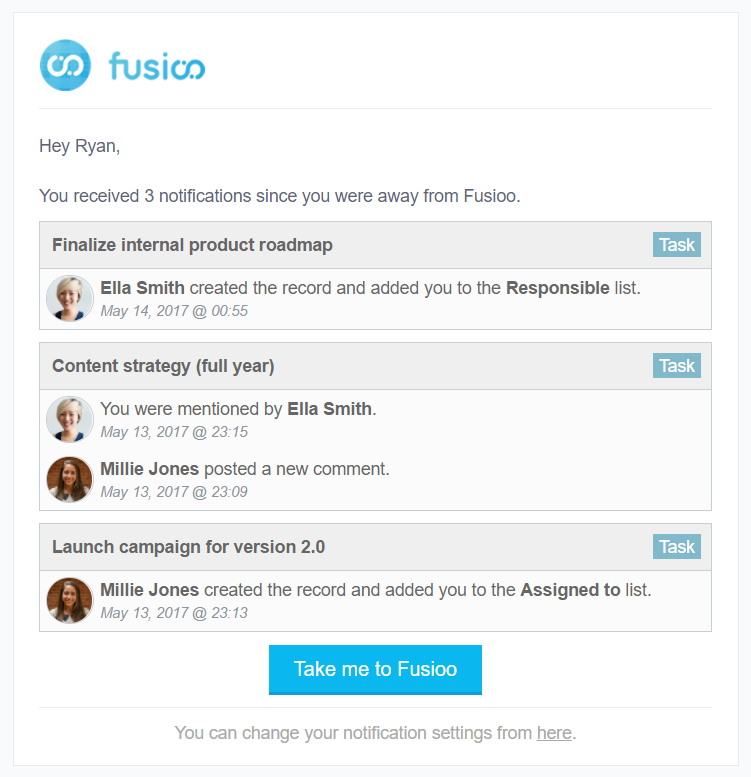 When you receive your first notification, you will be asked if you want to let Fusioo send you desktop notifications. Once you click on "Allow", a desktop notification pop-up will be displayed each time you receive a Fusioo notification. 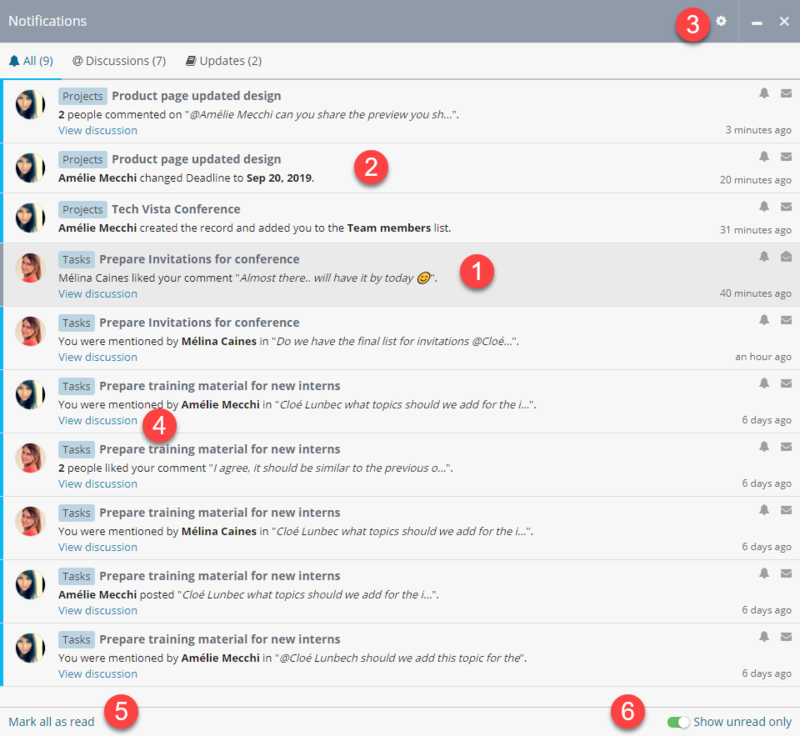 Apart from notifications, you can also schedule email roundups to let you know of any mentions and notifications you might have missed while you were away. A roundup email is by default sent every morning at 7:00 am. Note: If you don't have any unread notifications, the roundup email will not be sent.